One of our most popular and convenient passenger vans we carry, the Chrysler Town and Country is one of the oldest and most popular mini vans in production. 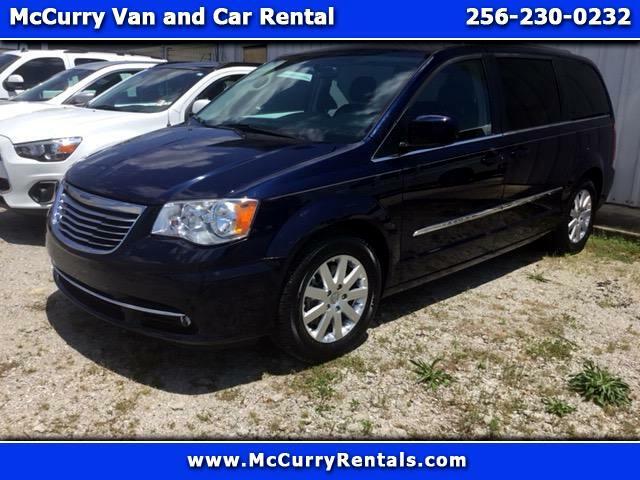 The 2014 Chrysler Town and Country van is brand new to our rental fleet and a comfortable 8 passenger van. Huntsville, if you need to move 8 people or take 8 people to an event please look at this vehicle. We rent this Chrysler Town and Country van for 59 a day and 295 a week. Call McCurry Van and Car Rentals for any of your rental needs or reserve online right now!!!! We have these vans available in Huntsville, Athens, Decatur, Cullman, Muscle Shoals, Florence, Scottsboro, and surrounding North Alabama areas.